Many of our clients have already implemented Lean Management programs. 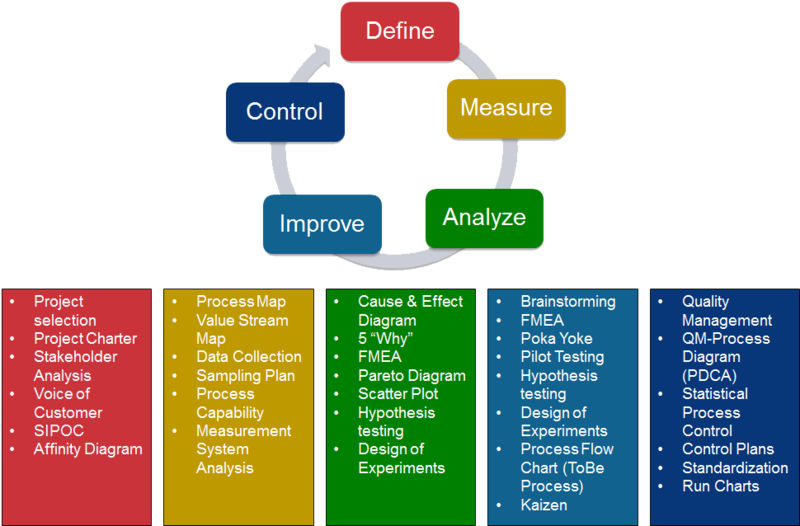 Strengthening the application of the DMAIC approach and the Lean Tool Box is key for continuous improvements. With this closed loop concept will your business and quality management processes become more simple, efficient, smarter and sustainable. We support you during the realization.